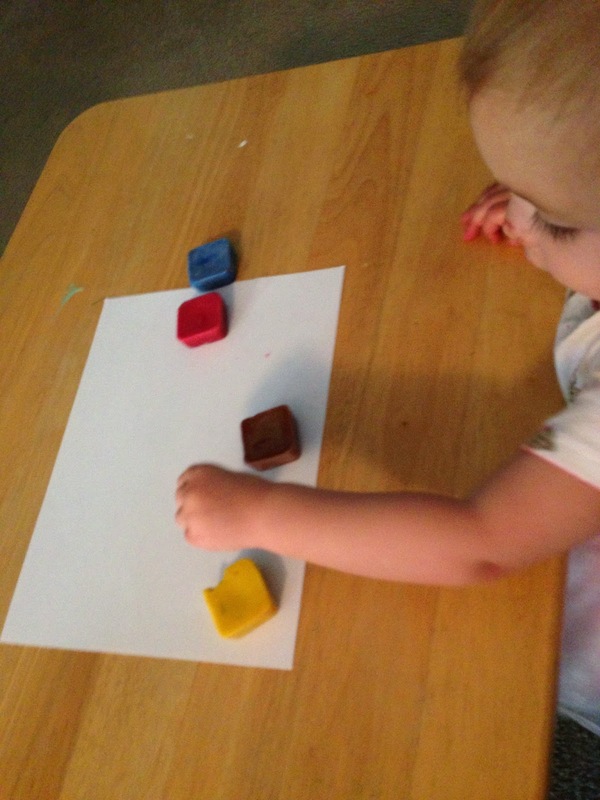 What baby/toddler/child doesn’t like playing with crayons?! Bunny LOVES to color. I want to encourage her creative side, but hate having to watch her like a hawk when she is coloring. We’ve all been there before. Imagine this: It’s a lovely afternoon and my sweet Bunny wants to color. I think, “Great idea! I will color with you!” We get out the crayons and paper and sit down for a nice coloring experience. There I am, coloring along side my toddler. I don’t know about you, but sometimes when I color, I get really into it. So there I am, hunched over my beautiful drawing, coloring the best picture I have ever colored before. I look up to show Bunny the amazing drawing I have made and what do I see? Bunny EATING THE CRAYONS! 5 seconds ago she was happily coloring! 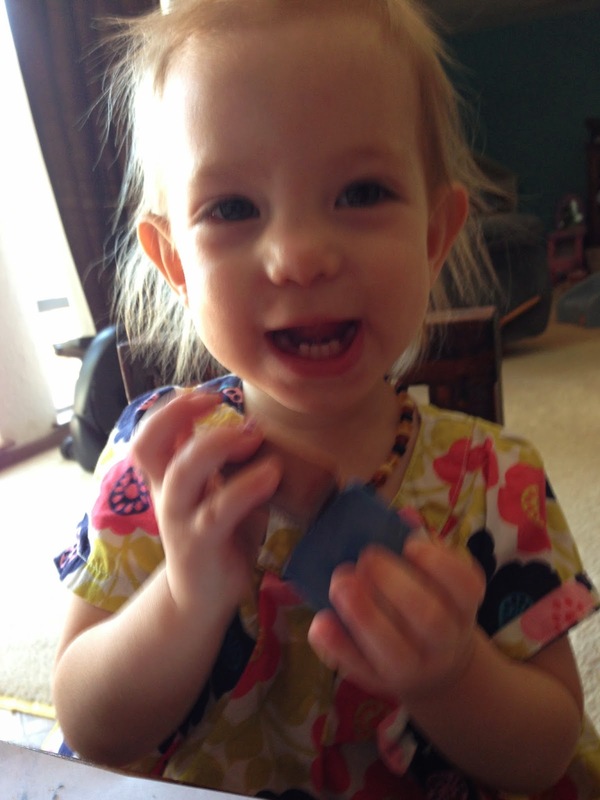 And now she’s EATING THE CRAYONS! 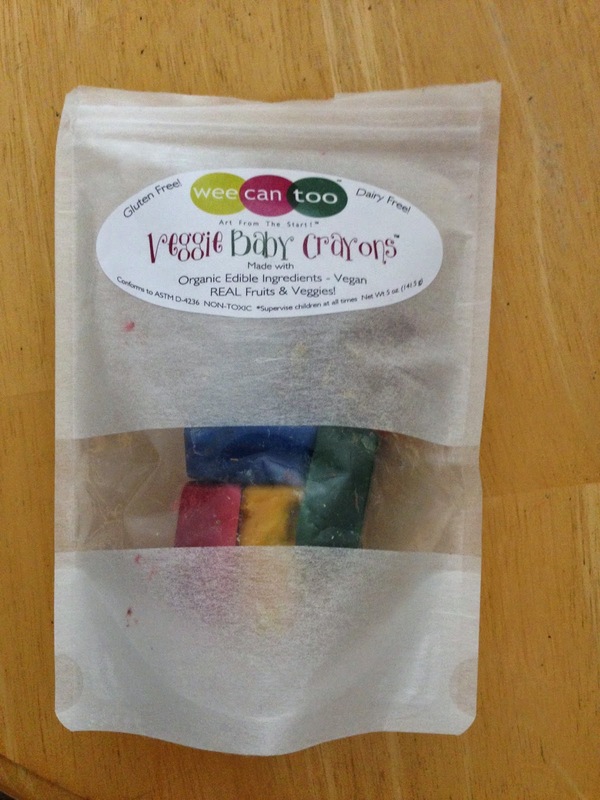 Wee Can Too Veggie Crayons are made with organic fruit and vegetable powders, are vegan, and have no wheat, sugar or preservatives in them. 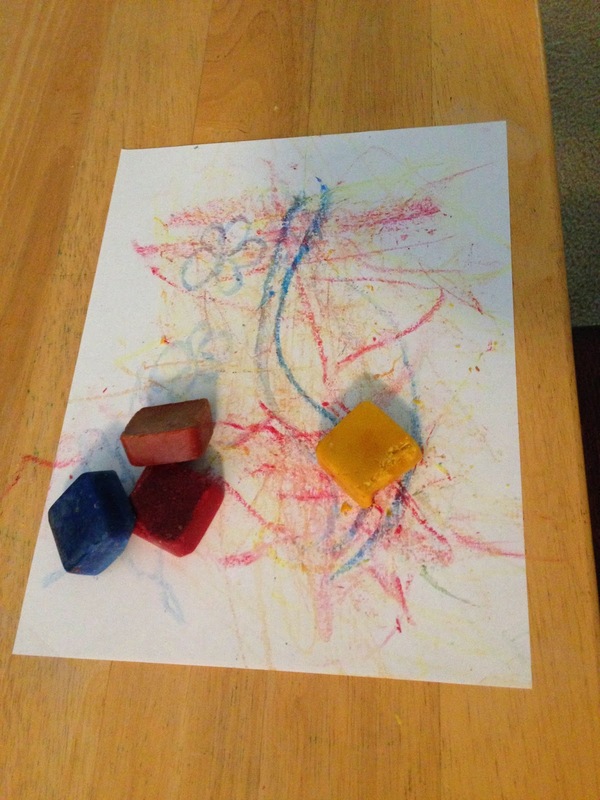 The first thing I noticed when I took the crayons out of the package was, they smelled GREAT! Seriously, these crayons smell amazing. They smell like fruits and vegetables, which isn’t surprising since that is what they are made out of. 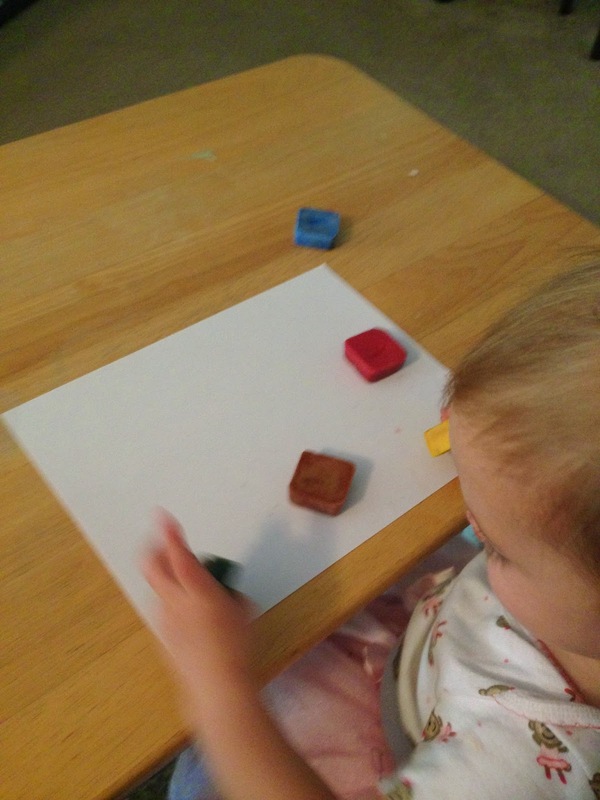 Wee Can Too Veggies Crayons are square, which make it easy for Bunny to hold. She also likes to stack them and knock them over. 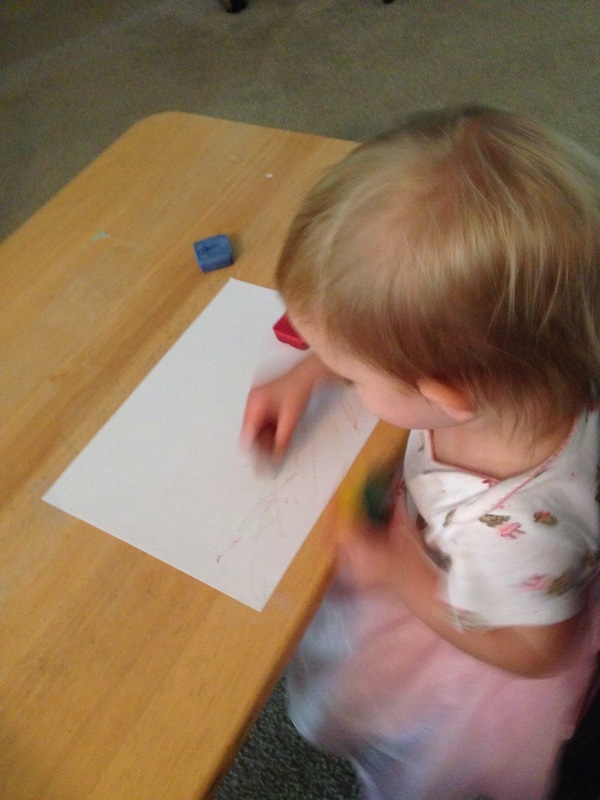 These crayons can entertain her in a few different ways! 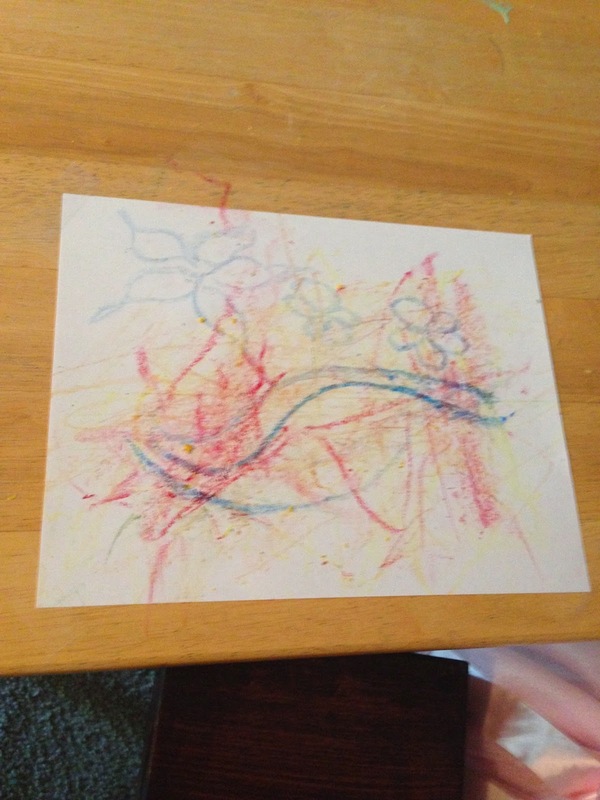 Bunny has bitten into these crayons, just like she tries to bite into all of her crayons! But with Wee Can Too crayons, I don’t have a mini panic attack when Bunny takes a bite out of them. Due to the ingredients, Wee Can Too crayons are perfectly safe. Bunny doesn’t seem to like the taste of the crayons, which is good because they are not a snack. 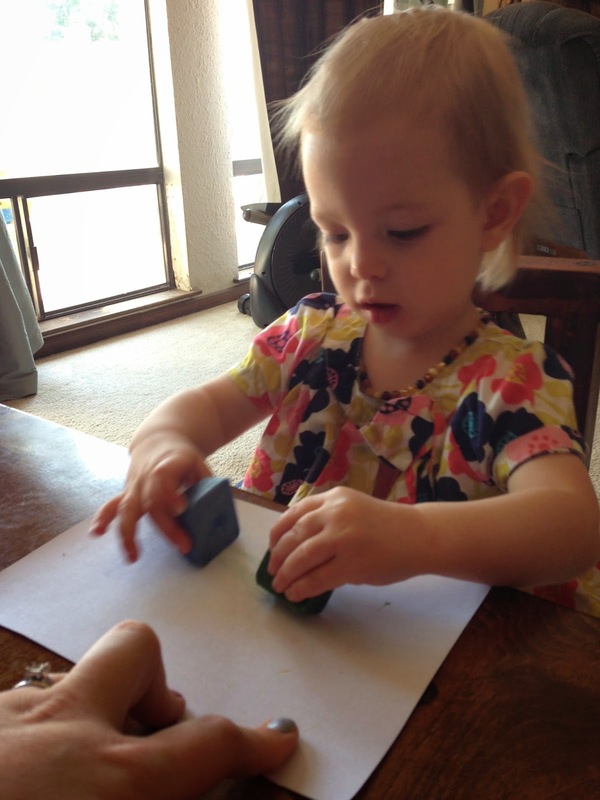 I really like the peace of mind I have when Bunny colors with Wee Can Too Veggie Crayons versus other crayons. 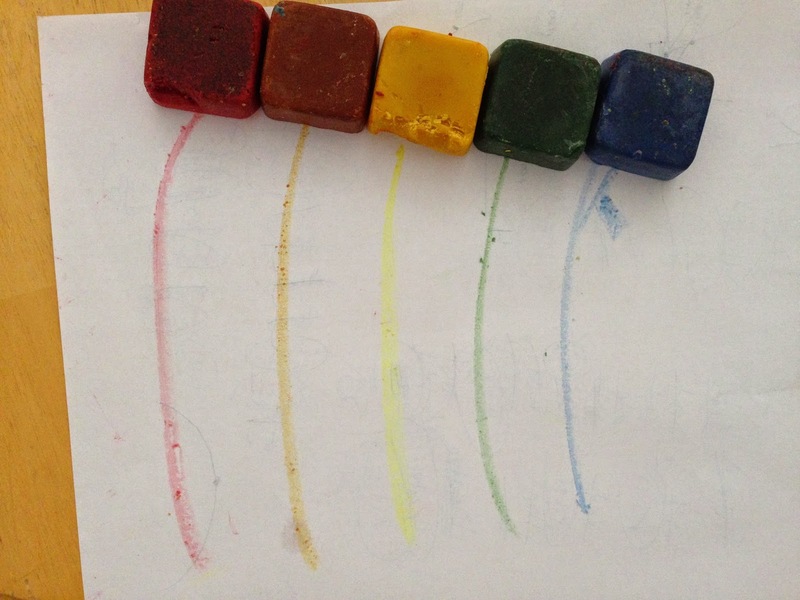 Wee Can Too Veggie Crayons come in five different colors, red, orange, yellow, green and purple which looks like more of a blue color to me. Please excuse the bite out of the yellow. Bunny had to have a taste. I really like that Wee Can Too products are made in the USA. I try to buy products that are manufactured in the USA, so that is a major plus for me. 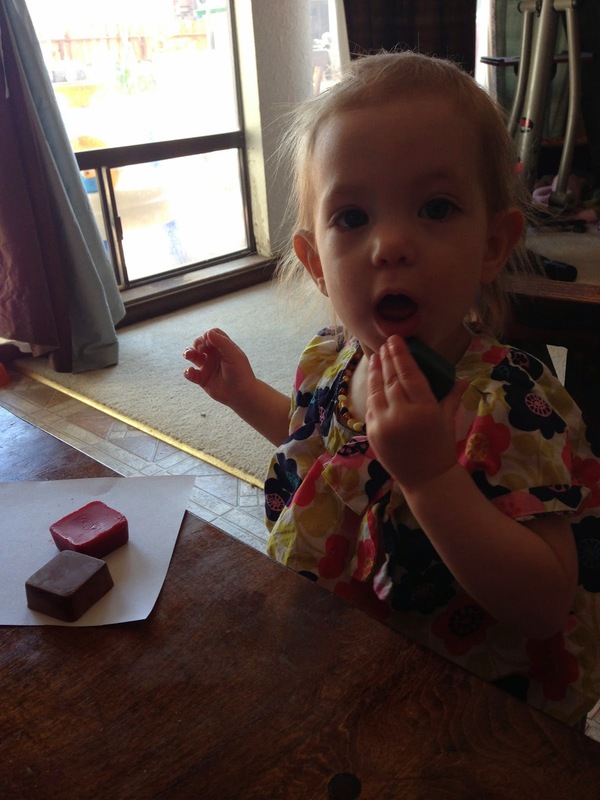 Wee Can Too Veggie Crayons cost $12 for a set of 5. It is more expensive than a box of crayons, but they are made with organic and natural products AND they are made in the USA. I am more than willing to buy these for my child! You can purchase your set of Wee Can Too Veggie Crayons here. Disclaimer: I received these items to review. My opinions are my own and are in no way influenced by the product owner/company.